The Shepparton Albanian Harvest Festival showcases the Albanian culture unlike any other event in Australia. 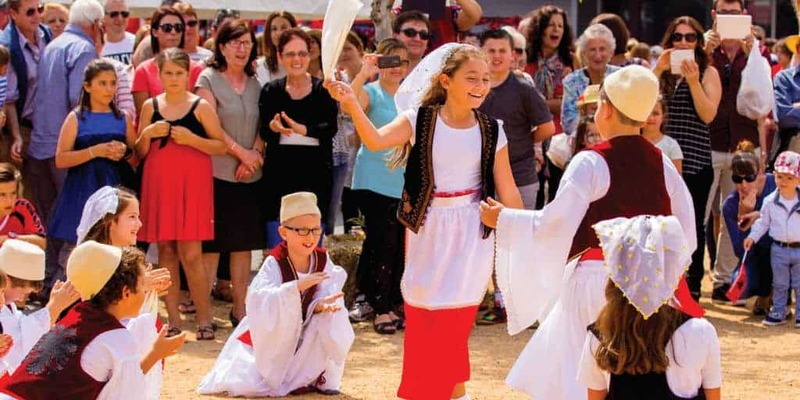 The Harvest Festival will entertain audiences with traditional Albanian music, dancing and cuisine. The Harvest Festival features traditional Albanian food available for purchase. There is also plenty of entertainment for the family with jumping castles, kids giant games and face painting. Shepparton Albanian Moslem Society Inc.